Why indulge one fruit, when you can indulge two. 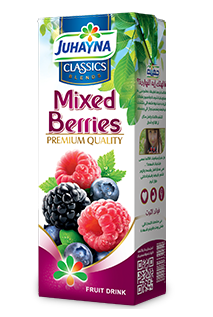 Blends is the newest addition to the Juhayna Classics family, unique in taste due to the combination of a two or more exceptional blended flavors. 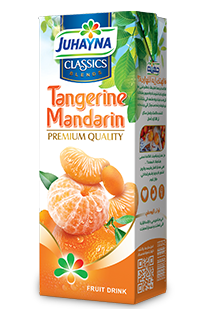 Available in five different flavors: Tangerine Mandarin, Mixed Berries, Pineapple Cantaloupe, Apple Pear and Strawberry Watermelon, made from the choicest ingredients, rich with vitamin C. Ideal for any occasion, the fruit pulps and concentrates used to make our juices are manufactured from the highest-quality fresh fruits, squeezed and distilled using the most up-to-date technology in accordance with global standards. 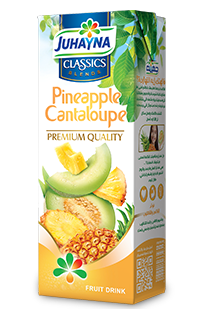 All of the flavors that fall under Juhayna Classics Blends line of juices are made from fresh fruits, have 0% fat content, and include the natural vitamins and minerals within fruits that promote the nutritional wellbeing of our consumers. 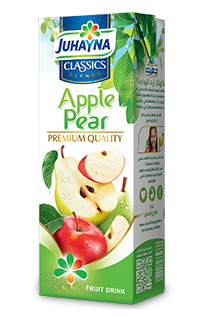 All of our classics flavors are available in 1 liter / 235 ml, combibloc packaging, and have a shelf life of 1 year since the date of production.